Boxes 8A-104, were transferred to the University Archives 1956-1974. Boxes 1-10 were transferred to the University Archives in 1995, 1996 and 1997. Boxes 105-111 were transferred to the University Archives in 1996, 1997, 1999 and 2000. Boxes 8A, 9A, 10A, and 11-104 have not been fully processed. A preliminary inventory for these unprocessed boxes is included in this guide. Boxes 1-10 and 105-111 have been fully processed at the folder level. Boxes 1-10 are arranged alphabetically. These boxes include the following major groups of files: Administrative files, 1968-1993; Faculty files, 1949-1993; Faculty Senate files, 1983-1984, Graduate Student files, 1937-1962; Senior Honors Theses, 1981-1993; Student Financial Aid files, 1979-1990; and Subcommittee on Transfer Admissions files, 1978-1980. Boxes 105-111 also have been arranged alphabetically. The University Catalogue for 1893 is the first which described a Department of History as an administrative unit in the College. 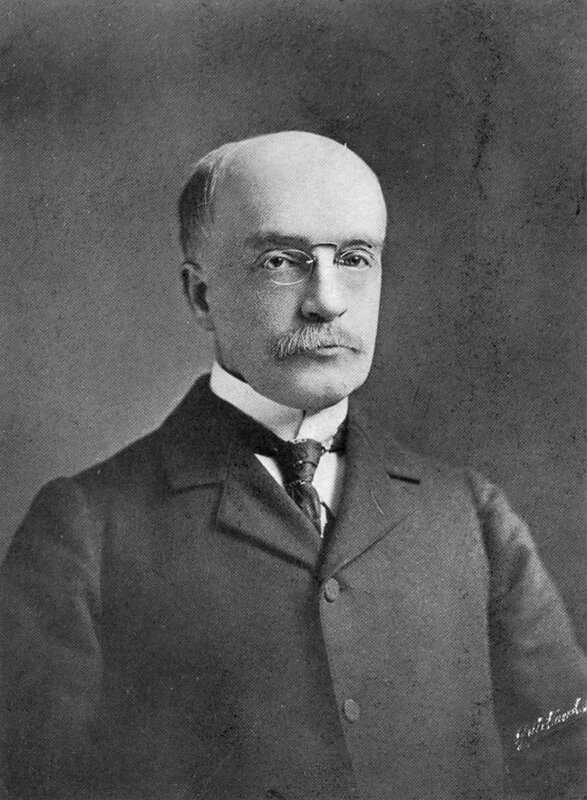 John Bach McMaster was the first Chairman of the department. A faculty consisting of four professors and one instructor taught courses in American History, American Constitutional History, Economic and Financial History of the United States, Political History of the United States since the Civil War, European History, Renaissance and Reformation, Medieval History, and Roman History. The same faculty also taught advanced history courses in the Department of Philosophy, the forerunner of the Graduate School of the University of Pennsylvania. In addition to major courses, a course in Church History was offered to graduate students taking history as a minor. The faculty awarded Penn’s first Ph.D. in History in 1891. The faculty first appeared as a departmental administrative unit in the Department of Philosophy in 1897. The range of interest of the History faculty has expanded enormously in the past century as seen in the courses offered by the Department. In the early decades of this century, the subjects of instruction were broadened to include architectural history, history of religion, and social, economic, cultural and intellectual histories. In recent decades, new fields or sub-fields have been added, among them early or colonial American history, world history, area and international relations studies, ethnic and racial studies, notably Black history, history of science and medicine, and women studies. Today, history courses virtually cover all major world areas and aspects of human life from ancient time to the present. These courses are available from introductory lectures to advanced graduate seminars. Currently, the size of the standing faculty of the Department is approximately forty. Boxes 8A to 104, dating from 1910 to 1970, have not been fully processed. Boxes 1 to 10 document the development of the Department of History from 1949 to the present. The Administrative files include course offerings of the Department, budgets, various programs, and the search committee files for the Meyerhoff Visiting Professorship, 1986-1992. The Faculty files consist of employment and appointment documents of faculty members. The Faculty Senate files include records of the Faculty Senate Executive Committee as well as general correspondence. The Graduate Student files consist of two parts–Ph. D. program, 1944-1960 and M.A. program, 1937-1962. Senior Honors Theses are papers done by students participating in the Senior Honors program from 1981 to 1993. Boxes 105-111 consist of three parts–faculty position search, student files, and senior honors theses. The faculty position search includes the African-American History Faculty Search of 1993-1995, the Chinese History Faculty Search of 1993-1994, the European Economic History Faculty Search of 1993, the European Intellectual History Faculty Search of 1993, the Japanese History Faculty Search of 1992-1993, and the U.S. Women’s History Faculty Search of 1994. The student files include records of over 140 students dating from 1955 to 1997. Undergraduate Programs in History, Description, n.d. Faculty Senate, 1983-1984, Senate Executive Committee, 1984 Jan. – 1984 Feb. Proposed Changes in Admission Requirements to the Grad Sch. Accounts regarding Translations and Reprints. Dr. L., President 1938, A.C.L.S. April 15, 1939 Meeting, A.C.L.S. Department notes, correspondence on Heindel’s appointment to instr. Lingelbach: 1930-1937 University Press Corresp. Lingelbach: 1915-1916 Geographical society Corres. 1911-1912 Howland and McMaster Corr. 1911-1912 Hist. Dept. notes on salary, budget. 1911-1914 Ames Corr. re: Public Archives Comm and bill to provide for standard inks, etc. 1910-1912 Fourth Bien. Rpt. N. Carolina Hist. Comm. 1945-1946, 1948, 1949: Applications for assistantships. 1919: Correspondence between G. M. Philips, principal of West Chester State Normal School and the History Dept. re: staff to teach at West Chester. 1920 Inquiries and Correspondence re: College Courses for Teachers. Article National Bureau of Economic Research, Inc.
Economic History Catalogue Materials, 1953-1954. Grade sheets, by course, Fall ~ Spring 1965, College, C.G.S., Summer School, Full list in folder. Student records, 1968 graduates, 1969 graduates, 1970 graduates, College, College for Women. Full list in folder. Student records, 1971 graduates, College, College for Women. Full list in folder. Grade Sheets, by course, Fall ~ Spring 1966, College, C.G.S., Summer School, Full list in folder.